Why Won't Your Insurance Company Pay You If Your Boat Sank? Why Won’t Your Insurance Company Pay You If Your Boat Sank? Your boat sank. You timely paid all of your insurance premiums. Yet the insurance company does not want to pay you for your loss. The question becomes, why won’t your insurance pay you if your boat sank? It should come as no surprise, but insurance companies will argue that that the claim is either not covered or excluded based on the wording of the subject insurance policy. Therefore, if your boat has sunk, and you are in doubt regarding the scope of your insurance coverage, then you should contact our office today to discuss your claim. It is not uncommon for an insurance company to argue that the loss was not covered because an “accidental physical loss” had not occurred. The basic requirement that there be some evidence of an “accident” in order for coverage to exist under a policy of marine insurance, termed the “fortuity rule,” is a basic and well established principle of federal maritime law. In Great Lakes Reinsurance v. Soveral, 2007 A.M.C. 672 (S.D. 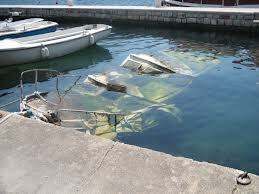 Fla. 2007) the boat sank at its mooring located at the insured’s weekend home in the Bahamas. The boat had been left uncovered by the insured so that rainwater accumulated and eventually sank the vessel when the batteries that powered the bilge pumps gave out. Given those facts, the court concluded that the water entering an uncovered vessel during rainy season was not fortuitous that would call for the existence of insurance coverage. The court reasoned that since nothing of an accidental nature had occurred that there could be no insurance coverage. Moreover, a warranty of seaworthiness by the owner of the boat is implied in every policy of insurance insuring a boat. A breach of this duty will result in the denial of liability for loss or damage caused by the proximity of such unseaworthiness. So when a boat sinks, for instance, at its mooring in calm waters, a presumption often arises that the vessel was unseaworthy. That unseaworthiness will often lead to a denial of the claim. Then there are other provisions in the insurance policy that an insurance company will look to in order to attempt to deny the claim. Some of the most common exclusions include exclusions for wear and tear or gradual deterioration and lack of maintenance. In short, if you fail to take good care of your boat then the insurance company may use that lack of care to deny your claim.